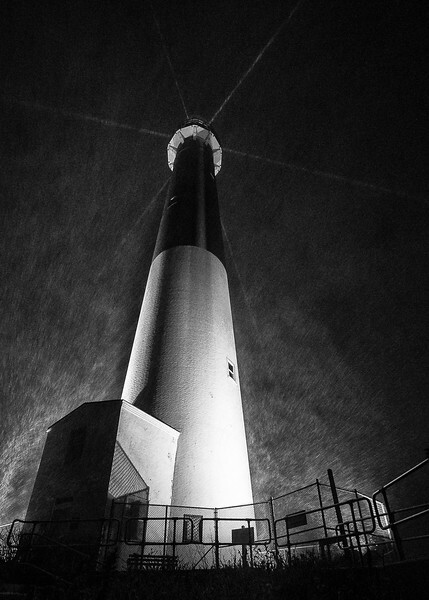 Barnegat Lighthouse as captured with mesobands of snow moving in off the Atlantic Ocean. 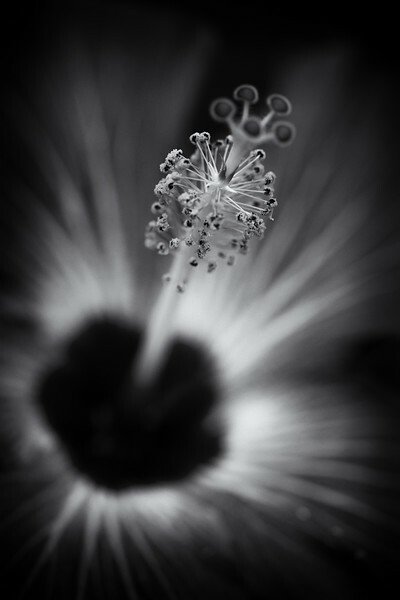 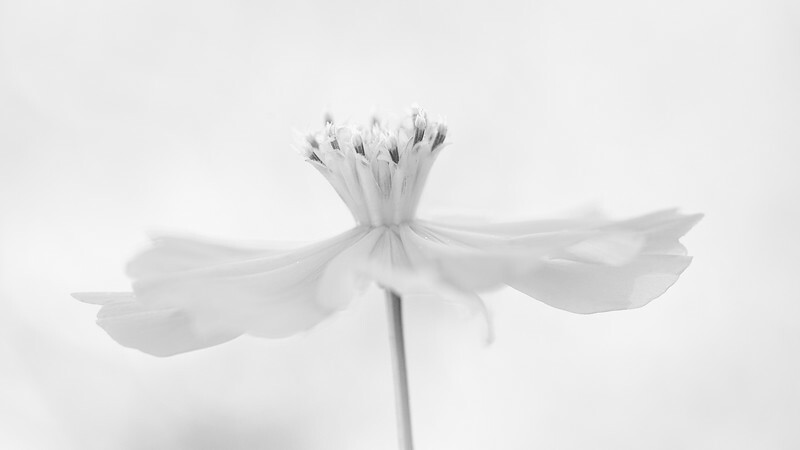 Low key black and white macro photograph of a hibiscus flower framed in vertical orientation. 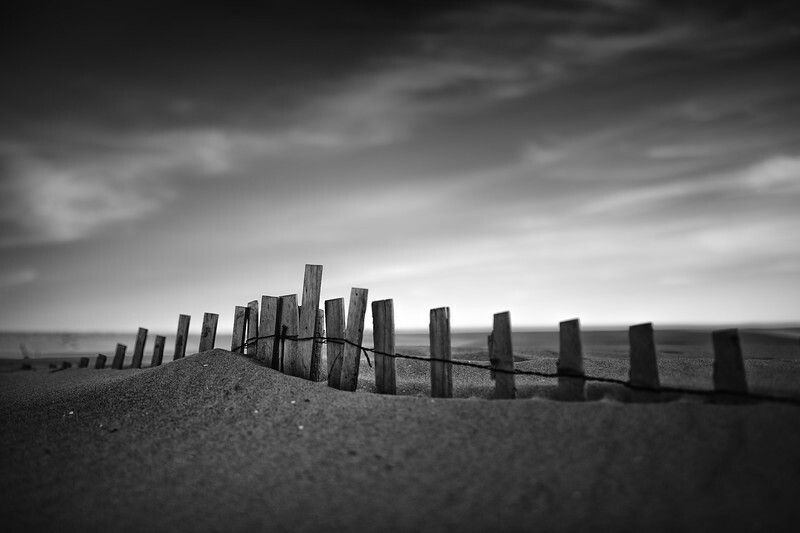 Strong contrast black and white photograph of sand dune overrunning its sand fence barrier. 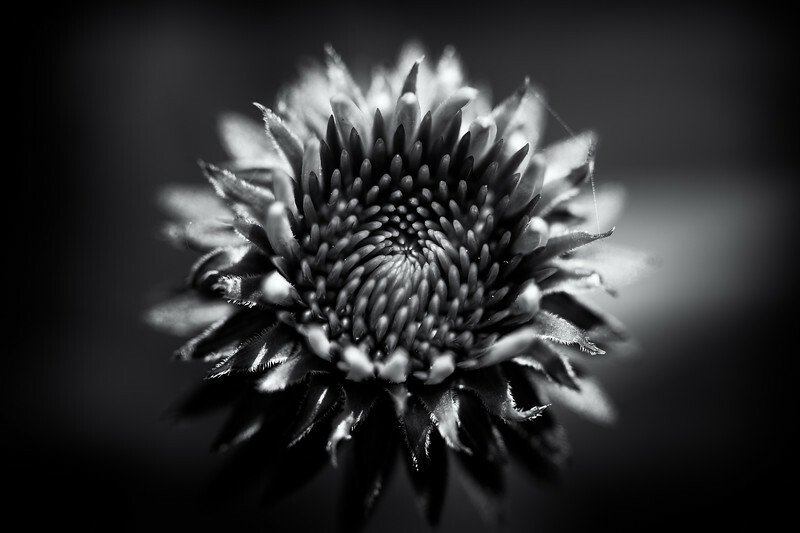 Low key square format black and white photo of a circular form sculpture as seen from Long Beach Island Foundation of the Arts & Sciences. 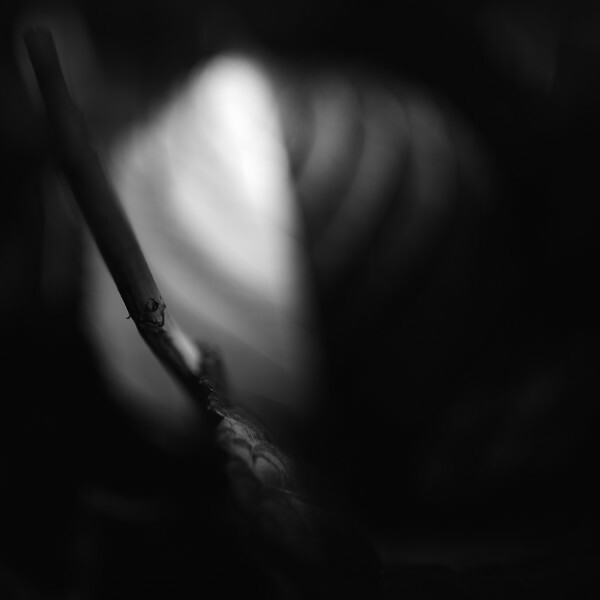 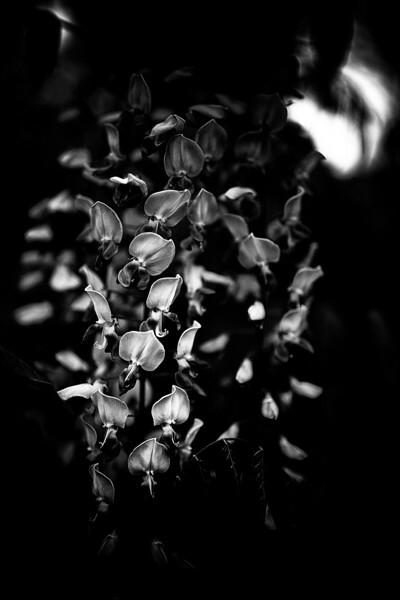 Shallow depth of field black and white photograph presenting hydrangea leaves in low key film noir abstract form. 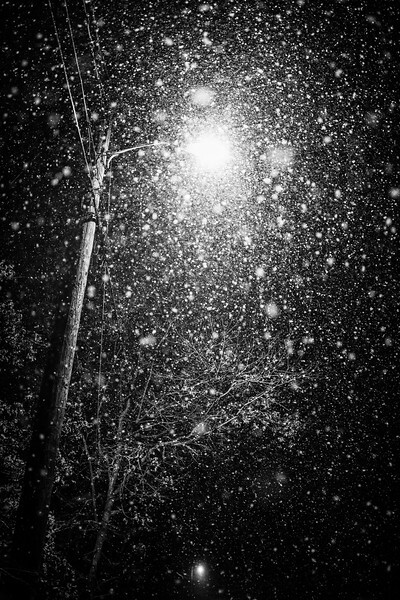 Low key black and white photograph shows a period of nighttime heavy snow lit by streetlight. 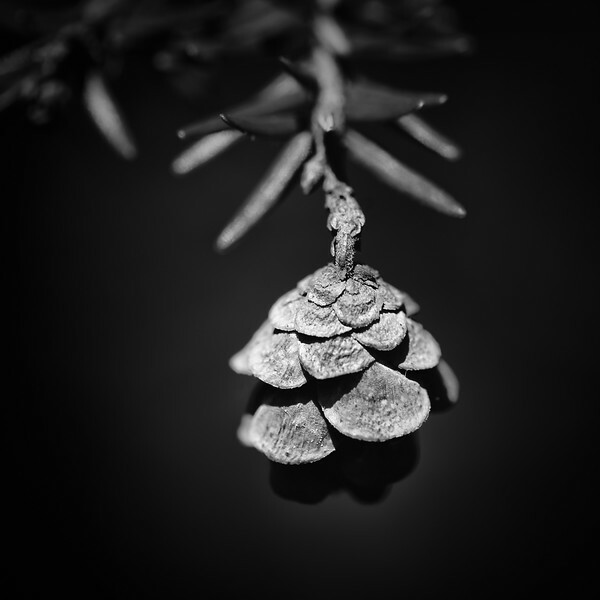 Black and white hemlock pine cone macro photo in square format. 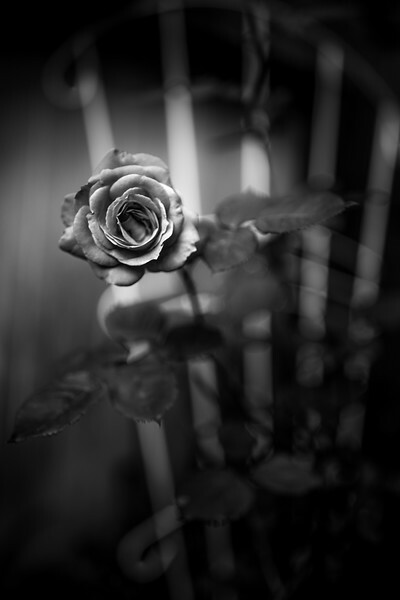 A lone rose blossom photographed in low key black and white. 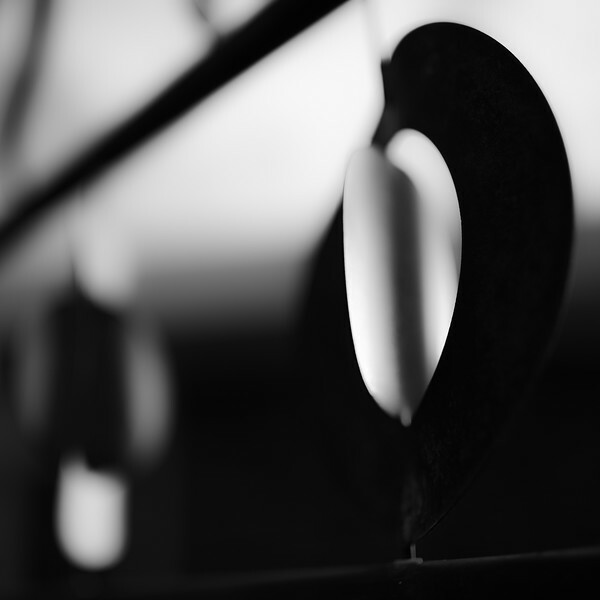 Black and white photograph of an acoustic guitar bridge. 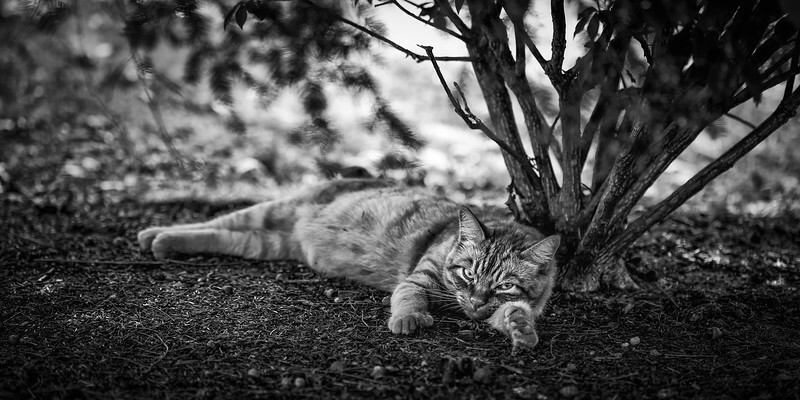 Black and white photograph of a tabby cat lounging outdoors. 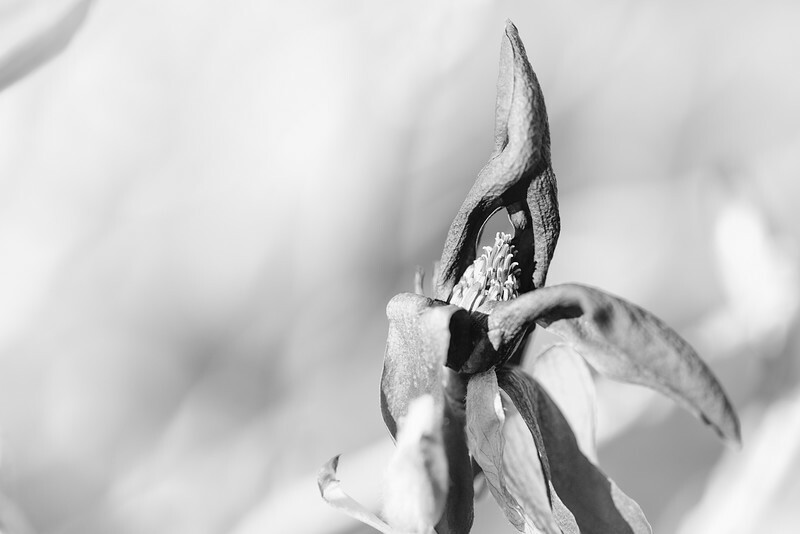 High key black and white macro photo of a dying jane magnolia blossom looking like a hooded wizard.